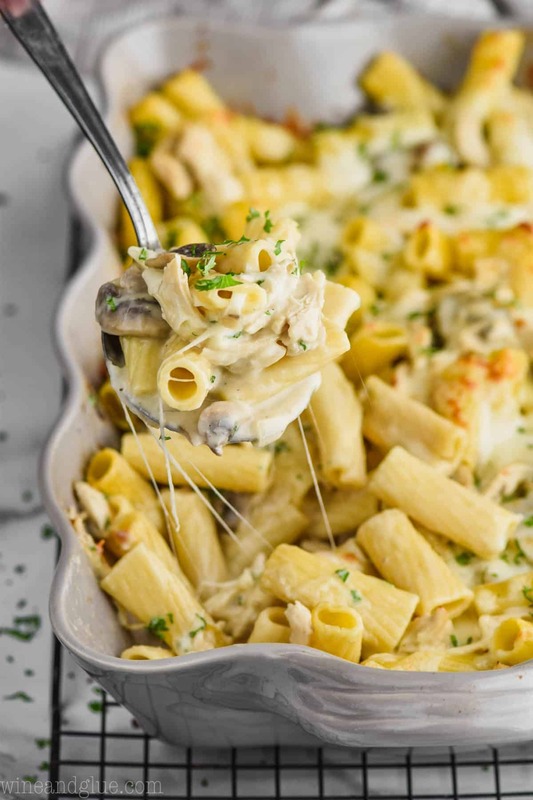 This Marsala Chicken Noodle Casserole is like the best combination of two of the most comforting dinners! 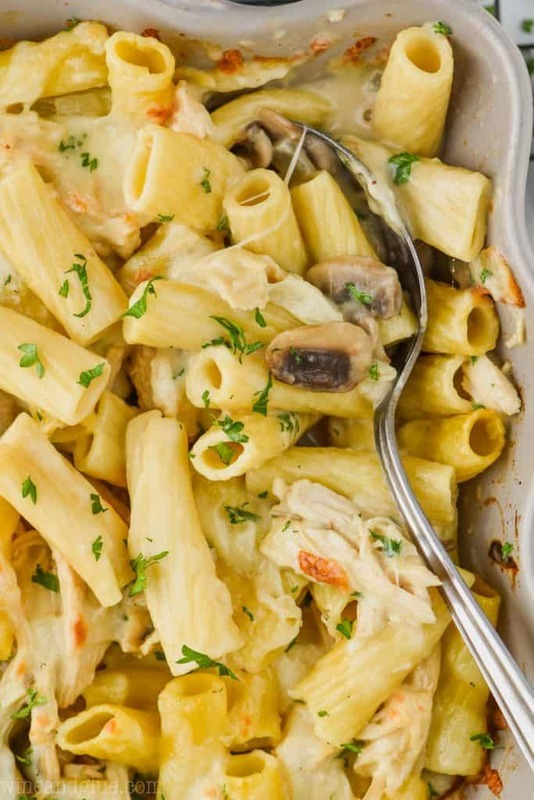 If you need more chicken pasta recipes, look no further. 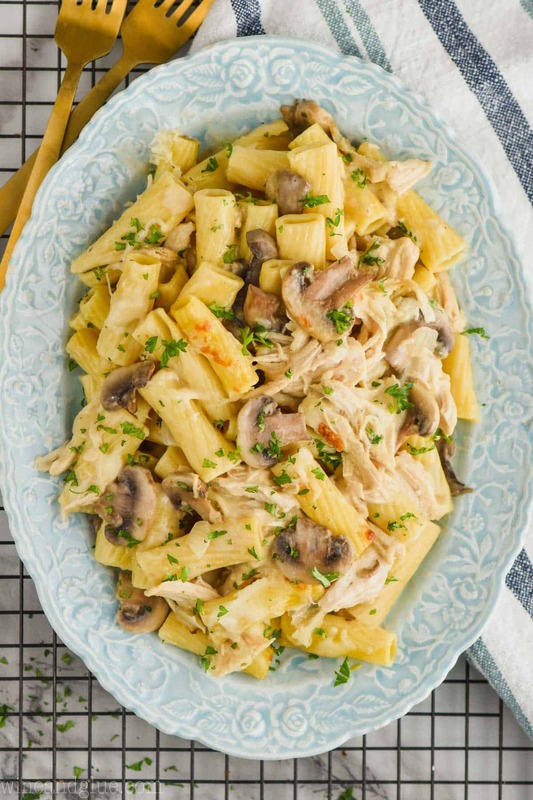 This combination of my Easy Chicken Marsala Recipe and my Chicken Noodle Casserole is sure to win over the hearts of even your most picky eaters! When I first got married, I really could barely cook at all. I remember that in college, my idea of fancy cooking was sautéing some bell peppers with chicken, putting it over rice, and covering all of it in epic amounts of soy sauce. But once I was married, and especially after I started having all them babies, I really wanted family dinner time to be a thing. My husband, who has many amazing talents, just doesn’t have the passion for cooking (or eating – HA!) that I do. So. I have kind of had to teach myself to cook. Cooking from scratch can feel really scary if you don’t feel comfortable in the kitchen, but I want the whole premise of my website and my blog to be that really anyone can look at one of my recipes and make it. I’m not doing anything fancy here when I cook from scratch. Just making really delicious food with really basic ingredients. 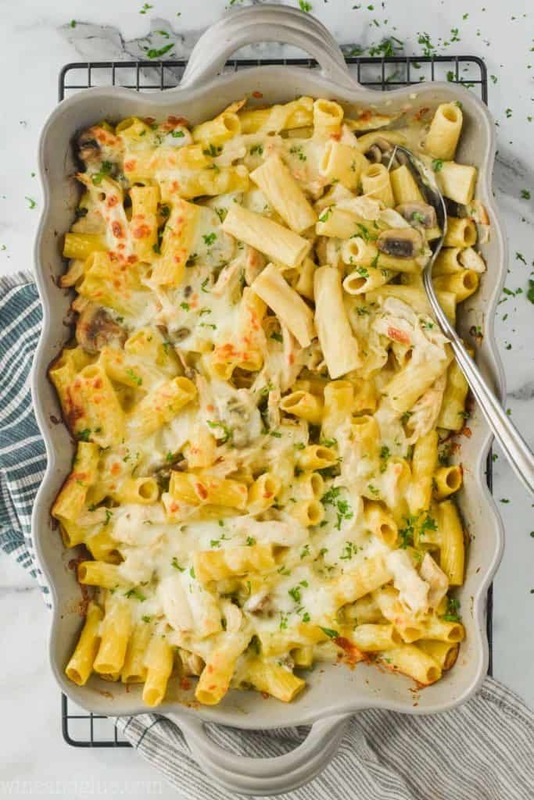 This Chicken Marsala Noodle Casserole is the prime example. 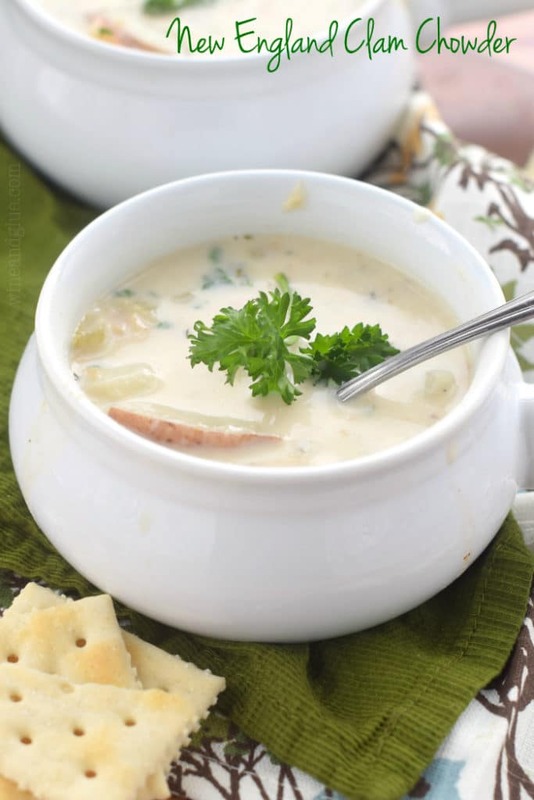 Simple and easy ingredients transformed into delicious recipe. The flavors in this are so incredible, my family fell in love with this immediately. WHAT MAKES THIS THE BEST CHICKEN NOODLE CASSEROLE RECIPE? There are a few little tricks that make this recipe over the top amazing. It ends up just being the ultimate in delicious comfort food. I cook the noodles in chicken stock. It deeps the flavor of the whole dish. If you are on a budget, consider buying chicken stock base. It makes cooking noodles in chicken stock much more affordable. I reserve some of the chicken stock after cooking the noodles. Before you drain your noodles, you want to pull a cup and a half out. Save that and use it to make the creamy liquid you use for your casserole base. Use heavy cream. 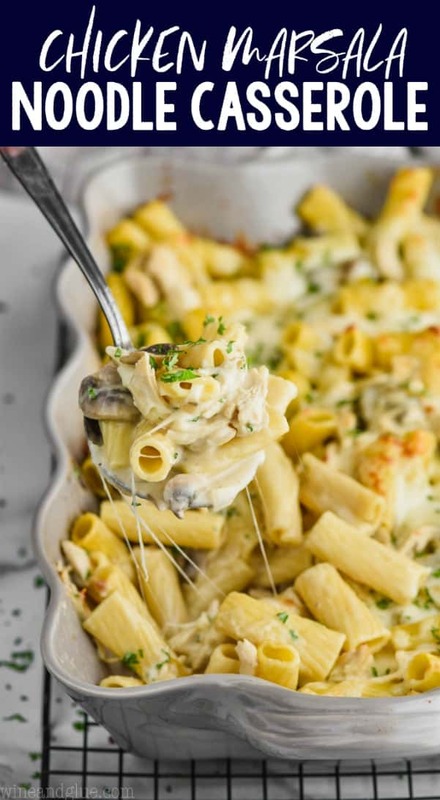 This is not a chicken noodle casserole recipe to go easy on. Use the good stuff. Go all the way. Use heavy cream. It’s worth it. Add all the cheese. You heard me. ALL. THE. CHEESE. Again, we aren’t holding back on this recipe. Comfort food is comforting for a reason. Again. Totally worth it. Cook your noodles while you are prepping everything else. It’s the perfect time to chop your veggies and make sure that you have all your other ingredients measured out. Because you are making your roux with the cooking liquid from the noodles, you kind of need the noodles to be finished before you continue. Making a roux (flour and fat cooked together to thicken a sauce) can feel intimidating, but it’s pretty simple. The key is being patient. Once you add your flour in, really slowly start adding the liquid. I literally go about a tablespoon at a time, waiting for the liquid to be incorporated before adding more. 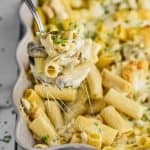 Some think this is a little over the top, but that little bit of extra time feels totally worth it in the end when I have this delicious perfect creamy sauce. Using a rotisserie chicken eliminates the step of cooking the chicken. Otherwise you can just boil it for 15 to 20 minutes and shred it. This recipe can be made the night before! Just leave the final cheese that goes on top off, adding that before you throw it in the oven the next day. Cook the pasta in chicken stock. Two minutes before the suggested cooking time on the package, remove 1 1/2 cups of the liquid, and drain the pasta. Preheat your oven to 425 degrees. Spray a 13 by 9 casserole dish with cooking spray and set aside. Melt the butter over medium low heat in a large sauce pan. Add the mushrooms, onion, and garlic to the pan. Cook until the veggies are soft and tender. Add the flour to the pan, mixing it in to make a paste. Very slowly add the reserved cooking stock. Approximately a tablespoon of stock at a time, waiting until the last bit of stock was completely combined before adding the next bit. Now slowly add the heavy cream and marsala wine. Once all the marsala and heavy cream are mixed in season to taste with salt and pepper. Stir in the chicken, cooked noodles, and 1 1/2 cups of the cheese. 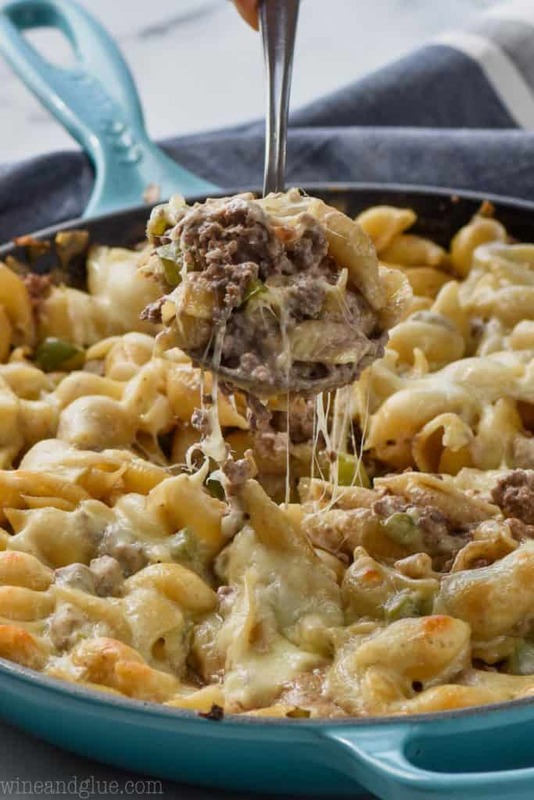 Pour the mixture into the greased casserole dish and top with the remaining 2 cups of cheese. Bake, uncovered, for 10 minutes or until your desired level of cheese browning. I like to keep chicken stock base in my cupboard and make chicken stock by boiling water and stirring it in. It's less expensive and makes me feel better about cooking my noodles in chicken stock. 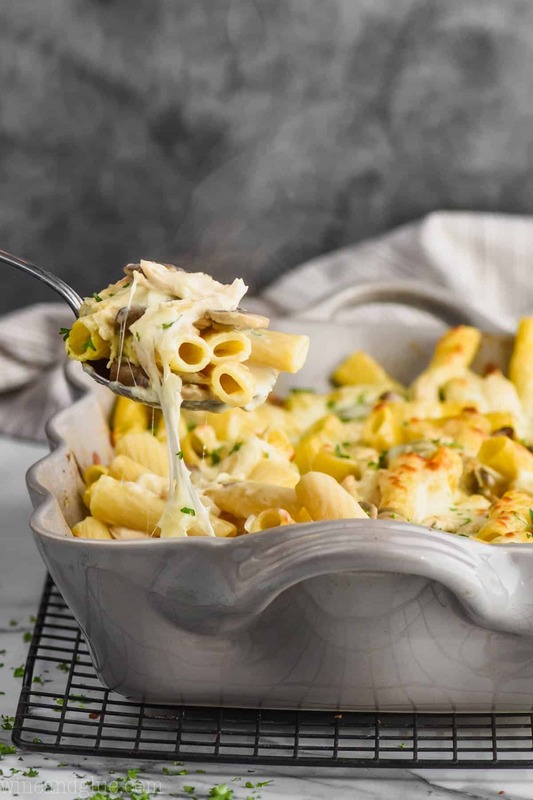 If you would like to make this casserole the night before, follow all the steps up until adding the second half of the cheese. Cover and put in the refrigerator. When ready to bake, remove from the refrigerator while the oven preheats. Top with the remaining cheese. Bake for 35 minutes. I can’t wait to make this. It looks amazing! Just curious – where did you get that gorgeous platter and the baking dish?? Can I use marshland cooking wine? Do you mean Marslaa cooking wine? If so, definitely.